The Alagwa live in the north central region of Tanzania. They predominantly occupy 15 villages in a rocky hill region that ranges in elevation between 4,000 and 6,000 feet. The Alagwa are farmers. Their principal crops are maize and millet. They work cooperatively to cultivate large fields, raise livestock, build houses and roads, and dig wells. Though the Bubu River runs through the middle of lower lands, the higher regions suffer greatly from lack of water. Their annual rainfall is only 500 to 800 millimeters. Consequently much of their time is spent either digging wells or walking miles each day to retrieve enough water for the needs of their families. The Alagwa believe they are descendants of Habesh, a son of the 10th generation of Ham. 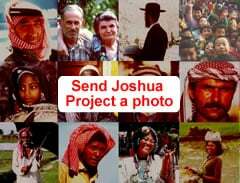 Many believe that they are still living out Noah's curse to his second son. Tradition also tells of their travels to the city of Mecca. The Alagwa retell the story about being rejected by the people of Mecca because they had no religion. They were not yet Muslim and still worshipped in the way of their ancestors. Perhaps this is why they later embraced Islam so wholeheartedly that today the great majority of the people follow the teachings of Mohammed. They are a very reserved people, slow to receive outsiders. Some of their reserved behavior is evident in the way they build and care for their homes. Their houses are built of fired brick with distinctive grass roofs that peak high above the entry. The homes are often surrounded by high and sturdy fences made of grass, reeds, or sticks. These fences and the area around as well as within are kept swept and clean of any debris. Each home has a neat, well-tended appearance. Their quiet reserve also extends to their religious lives. Christian missionaries, whether expatriates or Tanzanian, had historically left in discouragement from lack of response. All of that changed recently when several missionary families moved there and wer able to see success in producing Scripture resources. Several have been baptized and a small church meets weekly. View Alagwa in all countries. 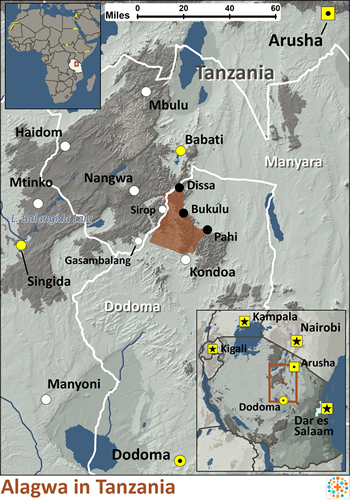 Location in Country: Dodoma region: Kondoa district.